The United Soccer League’s Tampa Bay Rowdies hosted the St. Petersburg Swans for Cultural Appreciation Night, July 7 at Al Lang Stadium in downtown St. Pete. Australian Football has taken root in West Florida. Half a world away from the sport’s storied home, ‘footy’ is growing in the Sunshine City, as the St. Petersburg Swans continue to gain a place in the ultra-hip city’s sporting and cultural scene. As Swans have taken practices and matches to five venues around the city during 2018, and hosted kids’ footy camps at local public youth rec centers and private schools, the independent club has set its sights on making the city by the Bay – affectionately known as ‘The ‘Burg’ by locals – a hub for Australian Rules Football in the state. A Swans’ visit to the region’s pro soccer team, the Tampa Bay Rowdies, for the team’s annual Cultural Appreciation Night kick-started the Bloods’ outreach efforts, as an opportunity to increase footy’s exposure in the community increased an awareness in the sport. That elevated profile has seen the Swan partner with an array of local, regional and national businesses who see the potential for the Swans’ unique position in this most appropriate of cities. Hailed by an array of lifestyle magazines as one of the ‘hippest’ cities in not only Florida or the United States, but globally, St. Petersburg’s growth into a cultural mecca for millennials, while of course remaining a leading destination for beach-goers, has the region primed for footy’s immense appeal. 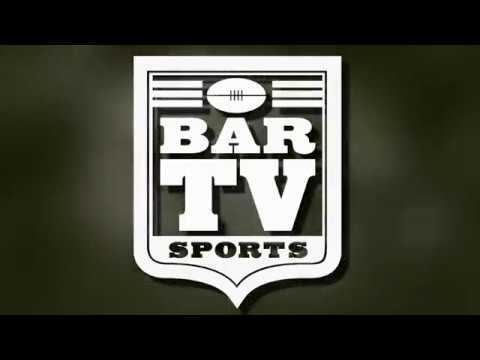 And, thanks to the area’s storied winter weather, the locals will have an opportunity to take in football year-round, as Major League Footy pivots to an October – March Premiership Season schedule. With an eye on carving its own niche on the global footy scene, the independent circuit exclusively plays an export version of Aussie Rules. Game play is on a 120 yard x 60 yard rectangular field, with seven players aside. That differs from the traditional 18-a-side on a cricket oval of Australian football. This abbreviated form of footy has found a natural home in St. Petersburg, as the Swans successfully completed a summer season featuring 26 consecutive weeks of training and competitive play, all while experiencing impressive growth. With the league making the move to a more conducive spot on the weather calendar, the Swans will embark on a 2018-19 season that begins October 27, with games played on selected Thursday, Friday and Saturday nights. 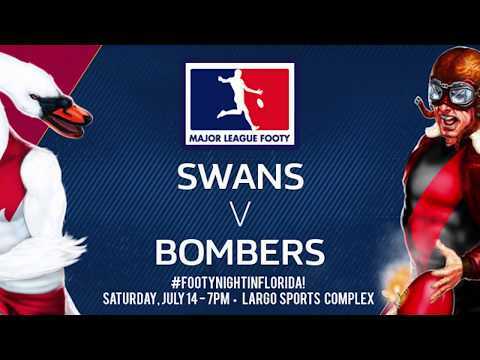 The Major League Footy 2018-19 Championship Final will also be played at a Pinellas County venue, where the two best sides in the burgeoning competition will face off. In continuing footy’s march into the mainstream of St. Pete’s sport and culture scene, the Swans will also hold their 2018 Awards Night in conjunction with a pub crawl through the city’s Edge District and downtown, October 13 at 7 PM.